Since October 2010. It’s been at the back of my mind for a while, but just seemed too self-indulgent – I couldn’t believe that anyone else would want to read what I was writing! Then with a bit of encouragement (or more like a firm push) I took the plunge. Sharing my passion and food ramblings with people who understand that the anticipation of an amazing meal is sometimes the only reason I get out of bed in the morning. The only downside is that I can’t do this all the time! My goal is to eventually quit my day job, and focus full time on food (thoughts of private catering are running wild through my mind). I cook for people – whether it’s my lovely man, close friends, family, or the amazing supporters I have on my blog, I want to share my passion with you. I love the excitement and happiness a great meal can bring – whether it’s merging new flavours, or simply allowing friends to catch up over a long lunch. I blog during the week, Mondays to Fridays. I ideally like to get 3 or so posts in per week. Weekends are normally spent planning adventures, recipes and meals to post the following week. Oooooo….signature dish would probably have to be Creamy Smoked Salmon Pasta (if you visit the blog, you’ll notice cream is a frequent guest!) and for dessert, Chocolate Ganache Tart (I warned you about the cream!). Wine..I’m a sucker for a good pinotage. So many! I’m constantly in awe of the amazingly talented food bloggers out there, and they are a great source of inspiration. I love Foodgawker (great for tips on food photography, and finding other great blogs), also Canelle et Vanille, The Novice Chef, Cook Sister (of course! 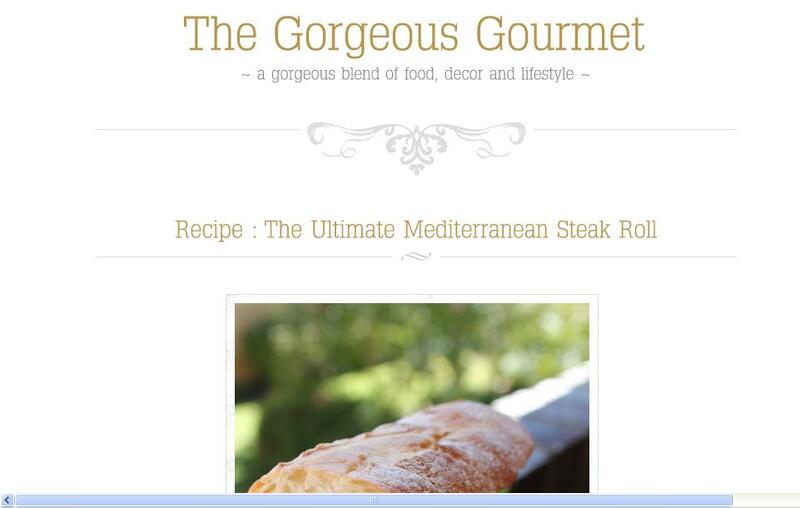 How can you not love someone who took South Africans to one of the Top 50 food blogs in the world! ), and A Sofa in the Kitchen. In an ideal world, the tasting menu at Heston’s The Fat Duck! But otherwise…to start, smoked salmon, lemon cream cheese and dill on crispy rye, then chateaubriand, done medium, with the thinnest potato chips and creamed spinach. To end, my very own chocolate ganache tart, with vanilla bean ice cream. I like the sound of your last meal, Candice. Much too good to save to last, I’d like to taste it now!